Reversible transmission adaptor with saddle and rubber pad. Spring loaded lowering system with dead man control. 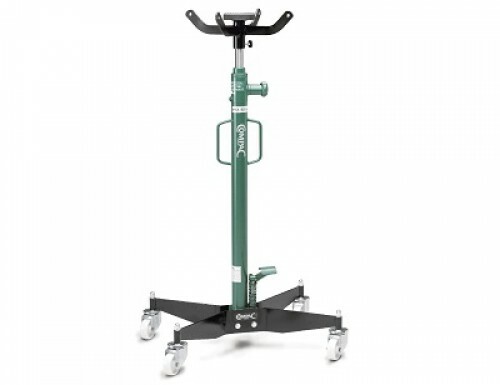 Wide wheelbase for stability during lifting and manoeuvring of heavy loads. Large swivel wheels for easy manoeuvrability.